A trio of robbers (Derren Nesbitt, Keith Faulkner, Morgan Sheppard) plan to rob a bank after it has been vacated for a long holiday weekend. The extra days with no one in the bank will provide more time between the robbery and its discovery. But no plan is perfect, and they find that the manager (Colin Gordon) and his secretary (Ann Lynn) have remained behind to finish some paper-work. The robbers lock them in the air-tight vault and escape, intending to let the police know about the pair, long before they run out of air. But that scheme too hits a snag, and criminals and victims find themselves on separate sides of the same life-and-death struggle. 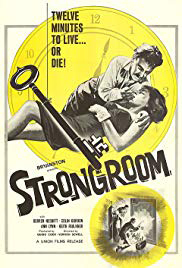 Another largely unknown British movie, well-acted, well-directed and well-scripted, Strongroom creates real tension with just a few characters and a limited budget. The acting is the most noticeably successful element of the film, with excellent performances given by players who were all unknown to me, except for Sheppard, a character actor who has appeared in as many American productions by now as British. The three criminals create personalities that are rare in films these days: ordinary, essentially decent men who want to make money fast but who don’t fancy themselves master-minds; neither are they ruthless and cruel. They don’t want to hurt anyone, and certainly don’t want to go to prison for murder. Their dilemma - to save the lives of their unexpected prisoners yet remain free - is the principal crisis of the film. Equally believable are the prisoners in the strong-room. The credibility of the characters is enhanced by what we learn of them. They develop as they go through stages of frustration, panic, despair and anger. The writing allows some digression from the crisis at hand, but it is always hanging over the people involved. The script and the direction combine to make compelling situations that make the viewer want to urge minor characters to hurry up and quit wasting time - many of them don’t know that lives are at stake. Strongroom could very well be adapted for the stage, as the real action is in the behaviour and dialogue of the characters. There are no villains here, just normal people doing what they oughtn’t, and others caught where they shouldn’t be. 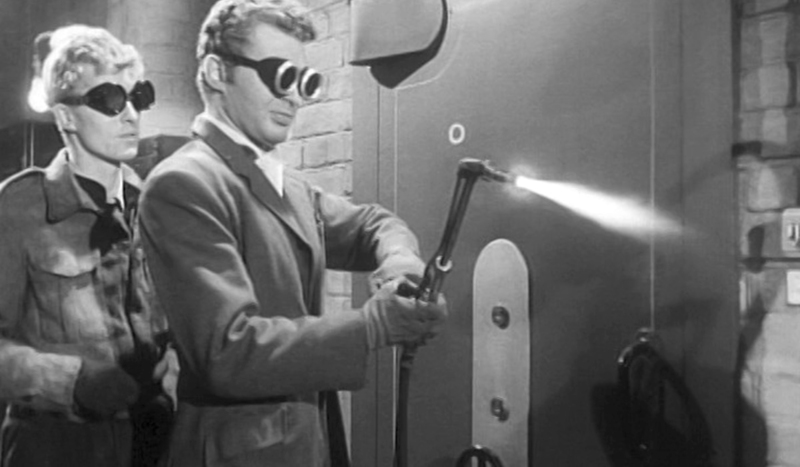 I've never heard of this movie, but I saw Vernon Sewell's "The Man in the Back Seat" on TV some time ago. 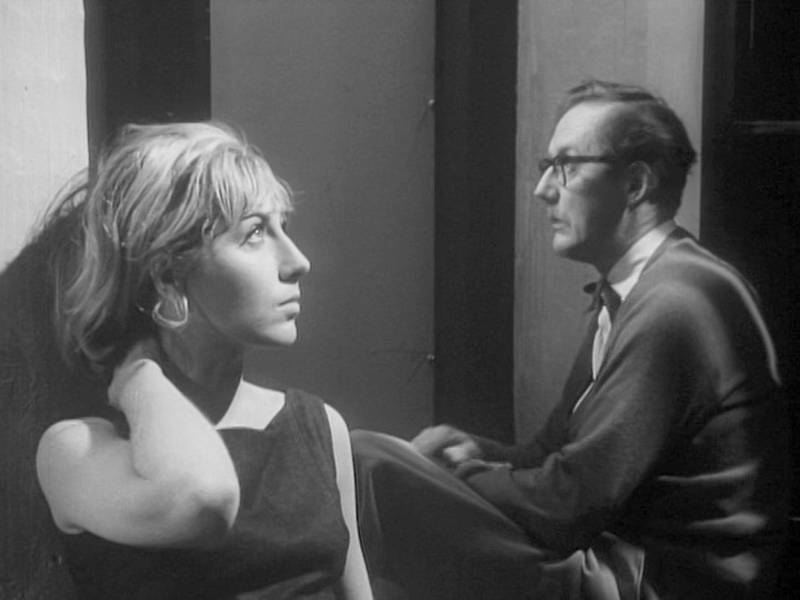 It was a similarly claustrophobic sort of crime drama, and a quite good example of the genre, I thought. If you liked "Strongroom," you'd probably enjoy "Back Seat" as well. It does sound a bit intense. I notice it stars two of the actors from "Strongroom". I will look for it to download. Thank you! Sounds like an interesting story line, and good to hear it was much better than the last.